Healthy vending is the wave of the future. If you have been dragging your feet with opening a healthy vending business, here is some information to get you excited to jump on the bandwagon! Several states have legislation in the works to mandate more healthy options in vending machines, thus making vendors feel pushed to ‘go healthy’. 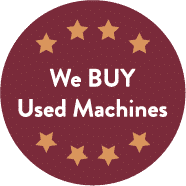 According to the Public Health Law Center website, “experience is showing that healthy vending initiatives can actually result in increased sales, especially when pricing, placement, and other marketing strategies are used to encourage healthier purchases.” You really can be successful selling healthier options in your vending machines! Vendors are coming to understand that market forces are changing. New studies and market research continue to emerge showing that consumers increasingly want healthy food and beverages. The evidence is showing that healthy vending efforts, with planning can be just as profitable and successful — if not more — as the increasingly outdated business model based on junk food offerings. A recent study of the Chicago Parks District’s healthier vending policy (which requires 100% of products to meet modest nutrition standards) found that the overall average monthly sales per machine increased by over 400% (from $84 to $371) during the first contract year, and that 98% of patrons surveyed stated they would buy snacks again. The International Food Information Council (a food industry trade group), conducts annual surveys on consumer attitudes about food and reports on trends. Its 2014 consumer survey found that the importance of healthfulness (which has long been one of the top three factors that influence food purchasing decisions) has increased significantly, with 71% of consumers now reporting that they are influenced by healthfulness when buying food and beverages — up 15% from 2011. In contrast, taste and price (the number one and two factors) have remained relatively unchanged at 90% and 73%, respectively. The 2016 consumer survey found that healthfulness continues to drive consumer’s choices. Many Americans are making an effort to choose more healthful options. More than three-quarters (76%) of Americans report making small changes to achieve an overall healthier diet. Eight-in-ten (81%) have made an effort to eat more fruits and vegetables, with three-in ten having made this change in the past year. Similarly, most are trying to cut calories by drinking water or low and no-calorie beverages (76%), eating more foods with whole grains (65%), cutting back on foods higher in added sugars (70%), and consuming smaller portions (66%). In fact, the average American is doing at least six of ten healthful eating behaviors. Women, college graduates, those with higher income, and those in better health were more likely to report engaging in the healthy eating behaviors. When probed about their motivations for adopting healthy eating behaviors, most Americans say that they made the changes either to lose weight (63%) or to protect their long term health (62%). These are some huge numbers. People, (potential customers) would rather purchase healthy options to support their long term health!! With the data and legislation momentum, healthy vending is only showing signs of growing into a large and profitable market. 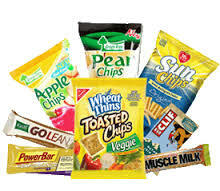 At the Discount Vending Store, we have plenty of options for anyone looking to get their foot in the door of the healthy vending business trend. We offer resources for vending placement, technical support and even training in our warehouse here in Colorado. We’d love to see you succeed with one (or several) of our healthy vending machines.